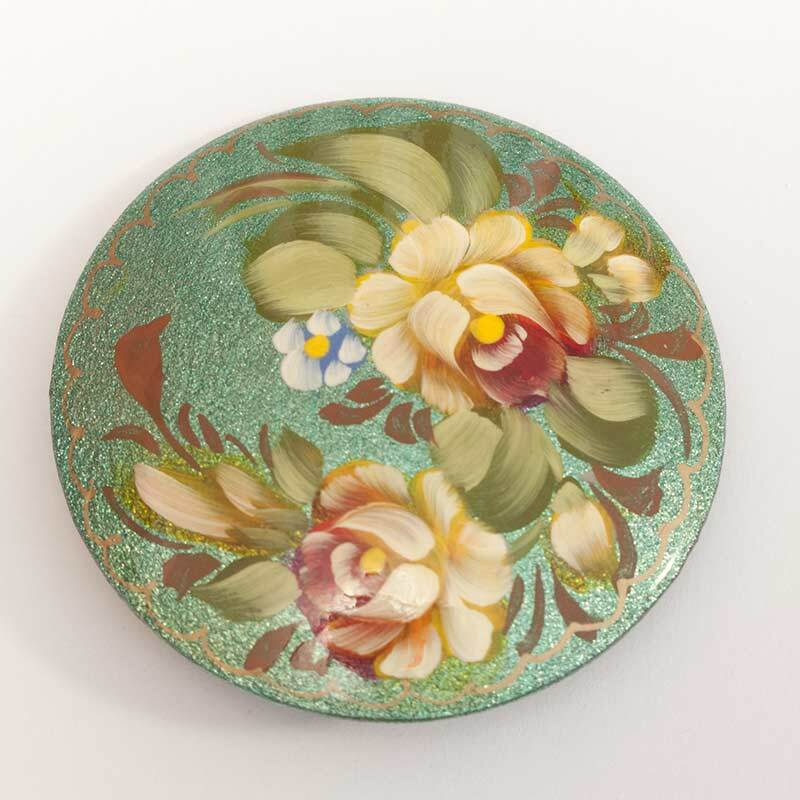 Two Roses on Green is a hand-painted on papier-mashe base brooch with bright tempera paints in Zhostovo style. 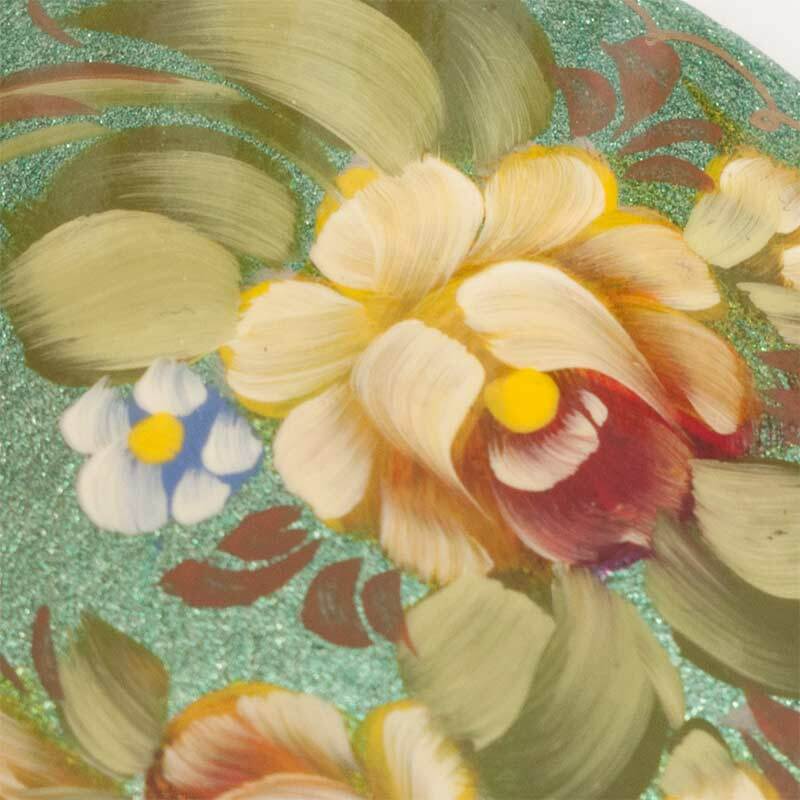 The brooch is well finished with glossy lacquer. It has a safe pin on the back side to fix it to cloth.